This Blog Entry is a part of my Uganda Trip Page. Click Here to read all of the blog entries as well as information about the Nakivale Refugee Settlement, the American Refugee Committee & how to help. A little over a month ago I received an email from a woman I knew at the American Refugee Committee (ARC) asking me if I would be interested in traveling with them to Uganda mid-June to work as their photographer & story-teller. June 20th is World Refugee Day and some of the 100,000 inhabitants of the Nakivale Refugee Settlement will be running a 5k race there. It took me a long time to say yes. I was scared at the thought of leaving my husband & young sons and traveling to the other side of the world... especially considering the history of political unrest in central Africa. I also had a very tight calendar including a wedding to shoot back in America a few days after the 5k! Nevertheless, everything seemed to fall into place.. My husband, who has to suffer through all of my business decisions, was supportive and encouraging. ARC assured me they could have me on a flight scheduled to return in time to shoot the wedding. The bride of the wedding encouraged me to go and we hired a second-shooter who will also be a back-up in the event of missed/delayed flights. I also spoke with my friend Brad Johnson who is a respected local businessman. He is the person who originally introduced me to ARC and has previously traveled with them. He spoke very highly of the organization and encouraged me to not miss this once-in-a-lifetime opportunity. So here we are, one week until GO-time! I have visited the health clinic and gotten my 6 shots. I have made sure my passport and paperwork are up to date. I've gotten care for my boys all lined up. This is trivial but I am still trying to wrap my brain around what sort of clothes to bring! I was told people dress-up more there. Skirts below knees, collared shirts.. definitely not my usual tank tops and yoga tights.. but I cannot justify (in my head) going out and buying nice clothes when I know that the people I am about to meet would have much better uses for that money! I am not nervous or scared anymore. Once I made the decision to go, I felt a calm come over me. Now I am just excited. I truly feel that fate has brought me to this point. I have worked so hard at my photography and building my audience for the past 4 years. I know I have the skills to shoot the refugees and the audience to share their story. I have also learned how good it feels to conquer my fears! In the past few years I have accepted & successfully completed photography jobs that were way over my head. 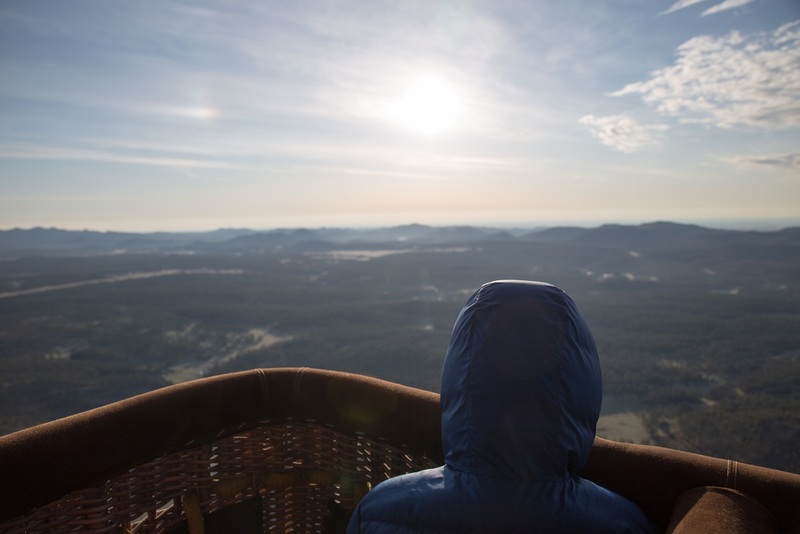 I have gone on numerous adrenaline-producing adventures like hot air balloon rides, scuba dives and helicopter rides. Every time I have taken on a fear, I have been rewarded with joy, a true sense of accomplishment and a growth in confidence and skill. It is time to make use of these experiences and do something good! From the minute I was asked to go to Uganda I felt a change. I suddenly felt so small driving in my car down the same road I have driven nearly every day, in route to take Arlo to his beloved preschool at a small Lutheran church in a suburb... There is a big world out there.. And people I may be able to help. And a path laid out for me to do so! My family loves to fish (I went on my first fishing trip to Canada when I was 6 months old!) 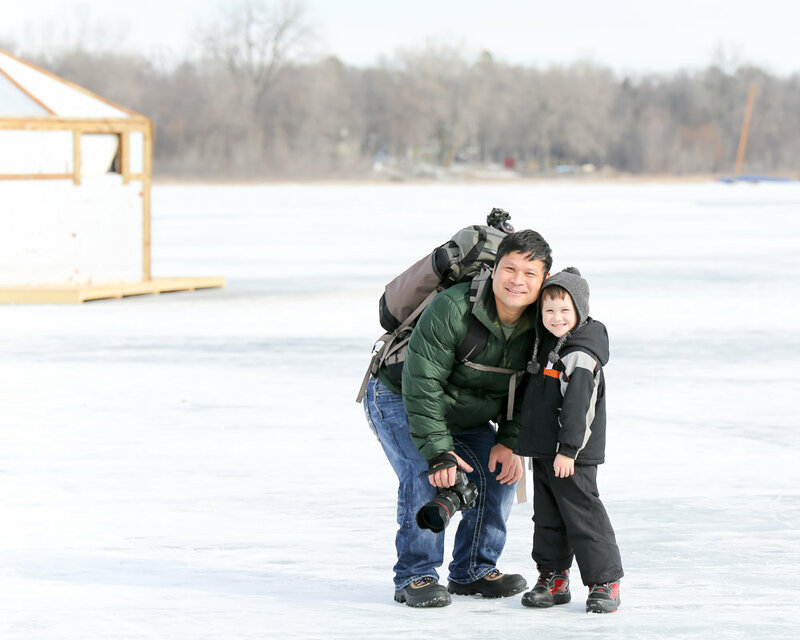 So it was a huge honor for me to be invited by Explore Minnesota Tourism and Visit St Cloud to the 70th Annual Governor's Fishing Opener! Every year a new city is chosen to host the opener. This year it was St Cloud's turn to shine. Outdoorsmen (and outdoorswomen! ), politicians, reporters, national news channels, professional fishermen & fisherwomen and outdoor sporting goods brands all swarmed into St Cloud for the weekend! It was an absolutely perfect weekend weather-wise. And since fishing didn't officially start until Saturday, the first few days were all about enjoying the area. Visitors played golf, went on kayak tours, quarry tours, campus tours, biking, picnics and more! I started my day by accompanying a small group of media folks out for a tour of St John's University. We arrived to St Johns and were immediately greeted with warm coffee, pastries and a charming monk who gave us a tour of the Abbey! The Abbey was designed by Marcel Breuer as "an architectural monument to the service of God." Fellow photographer Wayne Moran takes a photo in front of the stunning honeycomb wall of stained glass. There was so much to see, to learn and photograph there! I could've spent the entire day wandering the lovely Abbey! However, soon we were led on a short walk through the beautiful campus. Our next stop was to the pottery studio on campus. This is not just where students come to blow off steam and throw a pot.. It is the very zenlike home-base of many nationally renown potters! This is where you go AFTER you graduate college. Advanced studies. It is very disciplined and has a wonderful artist-in-residence. I was fascinated to learn that students will create the same piece almost 400 times just to perfect their techniques! Finally, we stopped at the library (which is also architecturally stunning) and viewed the St John's Bible. A completely hand-written bible that took years and many people to create. Hand-written pages of the St John's Bible in 24k gold! The library is home to many many precious and rare manuscripts. It was so interesting to learn about! They are opening a new gallery soon and I hope to make it up there for the opening! We took a mid-day break and had lunch at the most charming restaurant! Anton's decor is truly frozen in time from the days of prohibition. Food was great too! Every meal came with a mouth-watering giant popover! The backyard at Anton's was so charming! Vintage cars and a pond with farm ducks and geese. After a lovely tour at St John's and a quiet lunch - it was time to rev it up a bit with a jet-boat tour of the Mississippi! 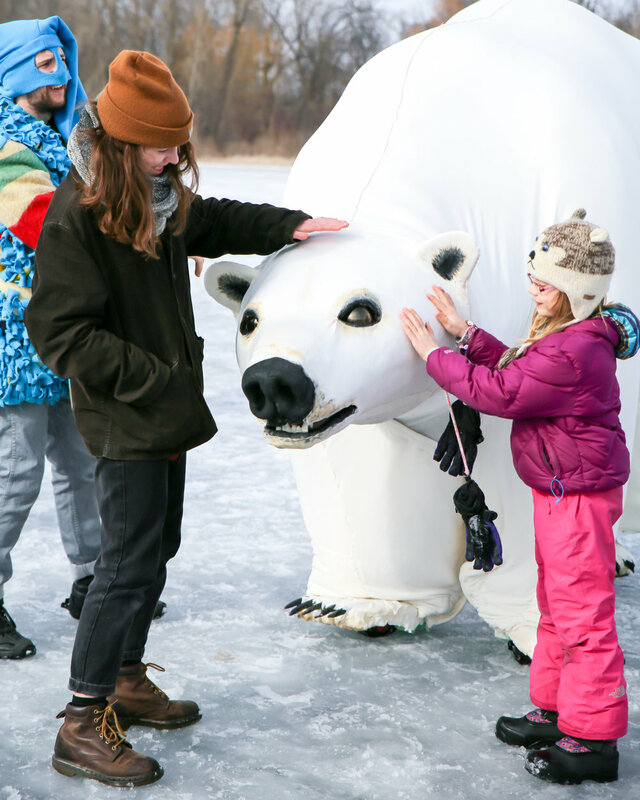 This event was hosted by the Minnesota DNR. My friend Jessica (from MNBucketList.com) and I took the side seats (better for photos!) and stuck a journalist in the middle! Poor guy had to listen to us laugh and laugh as we zoomed up and down the gorgeous river. We ended our day at the community picnic. This is where the folks from out of town got to meet and mingle with the residents of St Cloud. I met a lot of really lovely people. You can tell there is a lot of pride in this town! The party had great food and a live band. As we walked home from the picnic, we had fun recapping our day! St Cloud really did "shine" for its visitors! What a great way to kick off the Fishing Opener weekend! Thank you to Explore Minnesota for the invite and to Visit St Cloud for the hospitality! Wow the month went so fast! We were forced to move the shanties to shore about halfway through February. 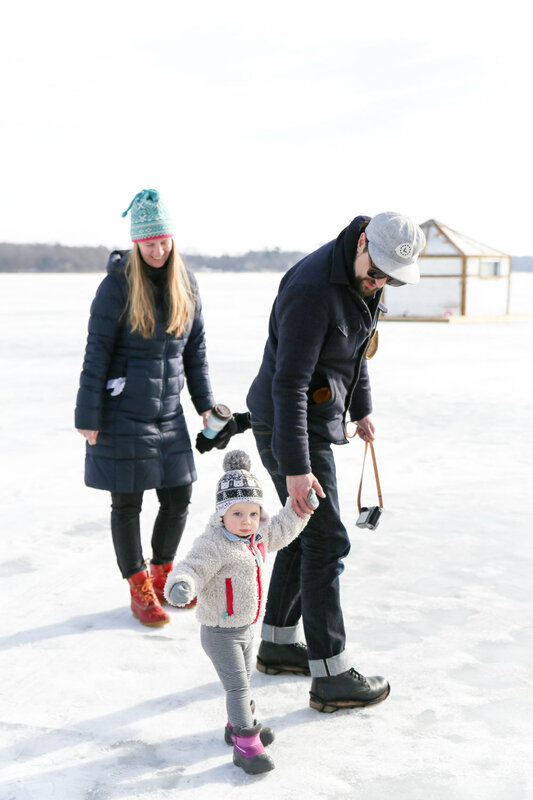 The warm weather was eroding the ice and it was the safe thing to do. These photos are all from my last day out at the shanties. On my last day there I savored the details. I went to each shanty and tried to enjoy the "little things" that you will not find anywhere else on this planet. They're the reasons why the Art Shanty Projects are one of the absolute highlights of my year. And I know I repeat myself, but I am so proud to be on staff and a part of this amazing organization. Such wonderful people - the artists and the attendees! Such creativity and joy. And friendship. The Director, Dawn, has become a cherished friend. I will miss seeing her every weekend. The Art Shanties could not have a better leader. A big thank you to the artists and staff for your kindness and energy! See all of my previous Art Shanty posts here! Hello! We had the best time on Saturday! My worlds collided when I went to work at the Art Shanty Projects as their photographer but then I hosted a Minnstameet as well! 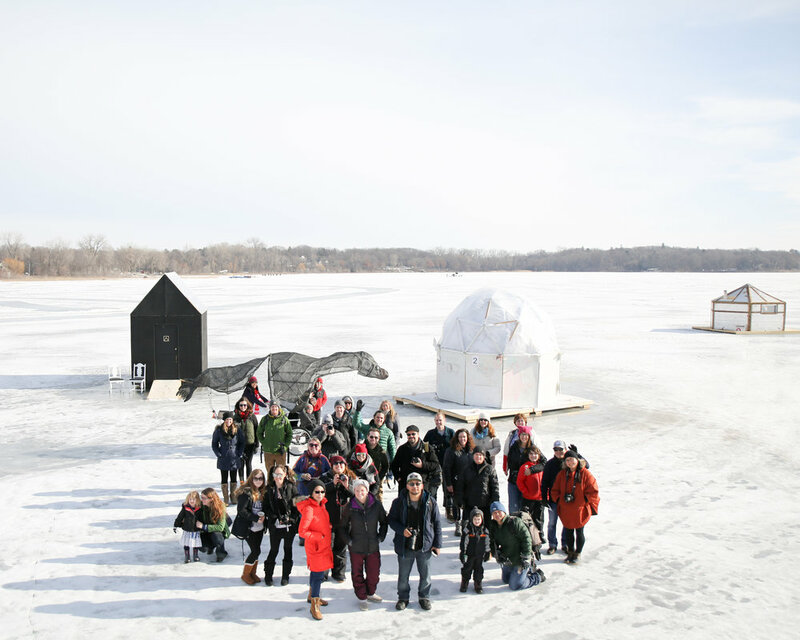 Local Instagrammers came from all over to meet early Saturday morning and have exclusive access to the Shanties. Whole Foods was kind enough to provide a huge spread of baked goods and warm coffee. The Kim Bartmann restaurant group sponsored our contest and three lucky winners got $40 gift cards to a restaurant! The ASP artists were so kind to come out early and open their shanties to our group! I spent the day photographing the "Humans of ASP" (my nod to HONY.) In the morning I shot a lot of the Minnstameet participants. In the afternoon I stayed and photographed the festival attendees! I am giddy everytime I go there. I just love the joy you feel in the air there! It is such a great, open, community event! I think you'll see in my photos that others feel that joy too! This is such a GREAT PLACE to go with the family! Nothing beats that feeling when you go to bed at night after being outside in the winter all day. You feel like you can just melt into bed after filling your lungs with the freshest air out there. So much space for the kids to run. So many great artists and people to interact with. And something SO different than "screen time." Imagination time instead!! Here's a little photo-guide to this year's shanties! Air Hockey Arcade: Its just as it sounds: a full sized air hockey table inside a shanty! You can hear those beloved air hockey "dings" as you walk up, and it is fully equipped even with two referees and arcade music. This was the shanty we could not get the boys to leave! Artetarium: Great for photo opps! A nice place to sit, relax, consult your map and gaze up at some of the world's more popular art. Birdhouse Shanty: Definitely one of the brightest and sweetest little shanties there. You are encouraged to quiet your mind and take a step back from the daily grind and be in the moment! Chef Shanty: Play with food. Make food art! Conversation Shanty: Have lively, unique conversations with other festival attendees! Dance Shanty: Always one of my favorites. This year the structure is slightly transparent so you are treated to dancing silhouettes from outside. High energy and definitely the spot to let loose! Ghost Shanty: Really quite beautiful from the outside. It is dark and you feel a little intimidated walking towards it. Once you open the door, it is a bit surprising as to how bright and light it is inside! Such a creative idea! Be inspired by the stories of once-loved objects that hang above you then draw your own stories on the walls. I-C SPArkle-matic: A human car wash. Definitely hit this up after you color on the walls (and yourself) at the Ghost Shanty! Leaf Your Fears Behind: I was told that this shanty artist drove all the way from California to share her shanty dreams with us. This shanty is quiet and contemplative. Write your fears on a leaf and hang them on the tree as a way to let them go. Reading others' fears was inspiring, depressing and really wonderful all the same time. Really made my kids think about other people and their feelings in a way that is hard to do. Sci-Fi Book Club: This shanty is SO fun for kids! They have come back from 900 years ahead in the future. They have a shelf with Sci Fi books that you can read. You can write notes to put in a time capsule. The artists play the part so well that my kids left as believers!! Sensa-station Story Shanty: From the outside you wonder if it is the "Breaking Bad" shanty but when you go inside you realize it is quite different! You are encourage to travel through the shanty to feel and sense different landscapes! Shanty National Park: Talk to a ranger, listen to park sounds and watch a stream bubble by when you step into this shanty! 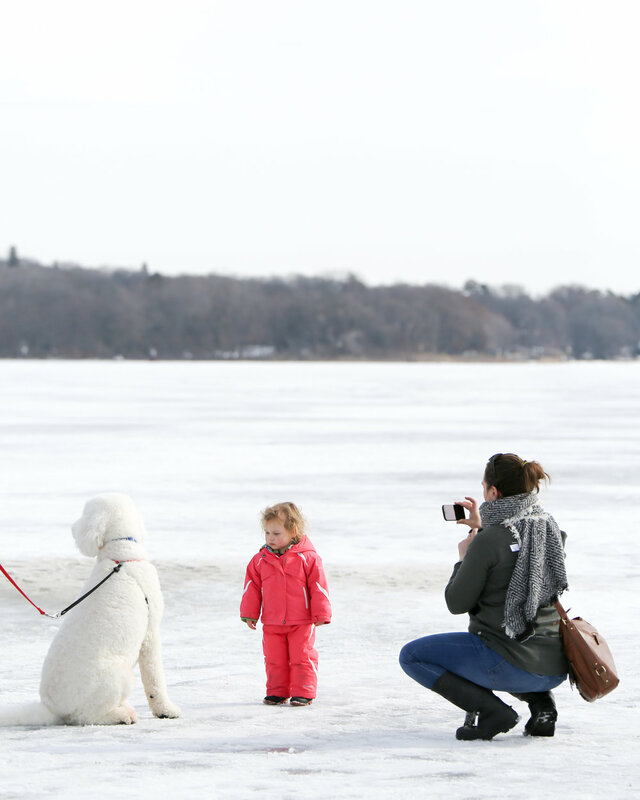 No need to plan a spring break road trip when you can just get your fix on White Bear Lake! Slumber Party Shanty: Always my kid's favorite. The first floor is the "space under the bed" where you can meet the monster family, see their dust bunny collection and see lost single socks. There's even a mattress tag! Then climb upstairs for a real slumber party with fortune teller games, coloring, legos and more! Snow Blind Shanty: Also one of the cooler shanties for photo opps. This shanty is all about "moire" - that type of pattern that gives you the illusion/sensation that the wall is moving. Really beautiful experience on a frozen lake! String Box Shanty: Started out as some plastic (I think they're plastic) pipes and some balls of yarn. Will be a brilliant, colorful yarn shanty by the end of the month with the help of festival visitors! The Justice Shack: Take the time to write to a legislator or politician. Read notes from others. See protest signs. And stand up on your Soap Box and announce your cause. A fitting shanty for the times! The Sky Is Falling Shanty: Also felt a little intimidating to enter. Its bright colors and strange aluminum shape make you really wonder "what you're getting into..." However once inside you realize that it really is a calming shanty. Place your hand on a reader that tells you what's going on inside. Sort of like a moonstone but with lights and moisture! Vehicle of Expression: Make words with giant scrabble-like pieces. See a performance. Be literally literarily inspired! Winter Parasol. More sculpture than shanty. This brilliant piece will grab your eye. Take time to study the shadows and effects of light. Of course I was drawn to it! Welcome Shanty: meet staff, buy a cup that will give you unlimited hot cocoa and climb to the roof for the best view on the ice! And that's a wrap on my Shanty story! Hope to see you out there! 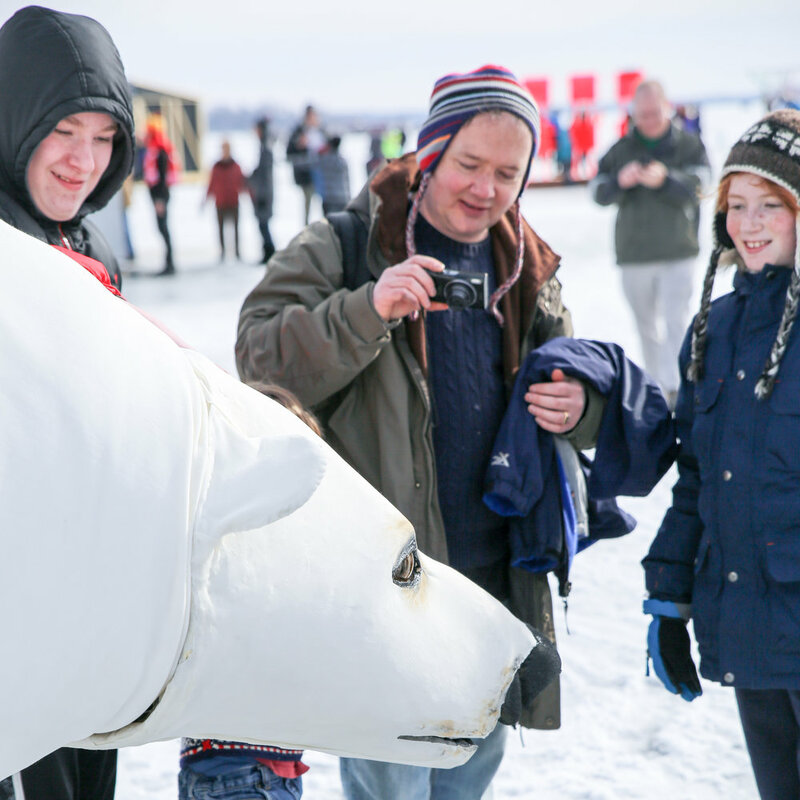 It is on White Bear Lake, Minnesota and open every weekend in February. See their web site www.ArtShantyProjects.org for details. I also wrote some visiting tips in my previous blog post! Hello! The Art Shanty Projects are back up and running for the month of February! 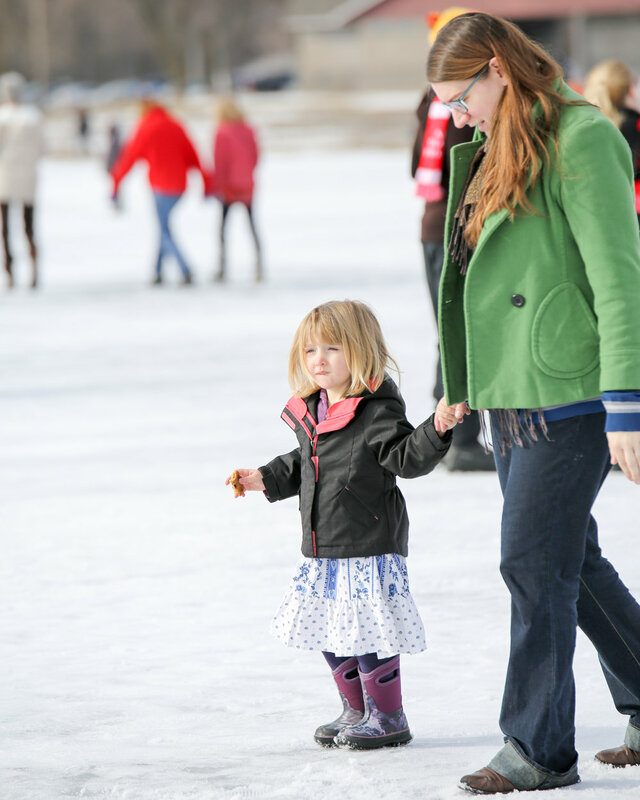 They are about 30 minutes from the Twin Cities on White Bear Lake and open every weekend. I am honored to be on their staff again this year as the photographer! I went out to visit today with my girlfriend Stacy! We had a great time! So much positive energy and creativity there. I just love it! Anyways, last year I wrote the following tips on visiting! Hope you find them helpful! 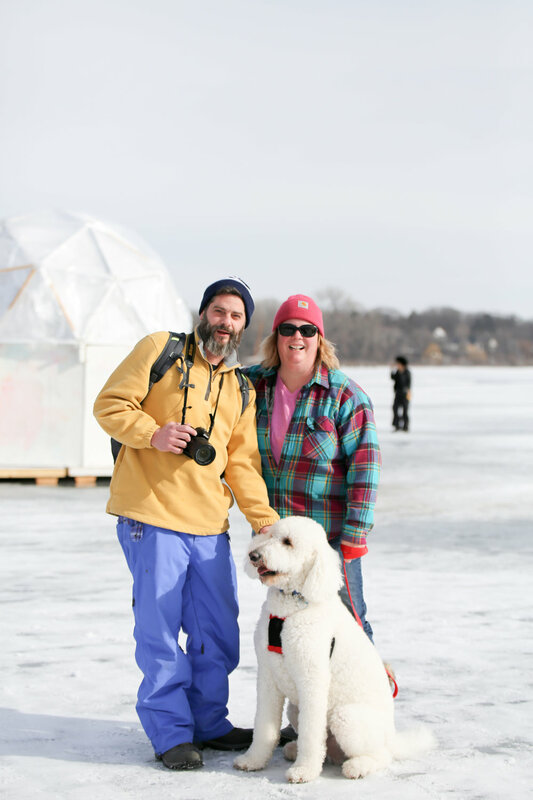 • To get there, use google maps with "White Bear Lake County Park 55110"
• The shanties are on a frozen lake - but only about a block or two from shore. • There is a very well plowed path leading out to the shanties. It was icy there today but easy to walk. 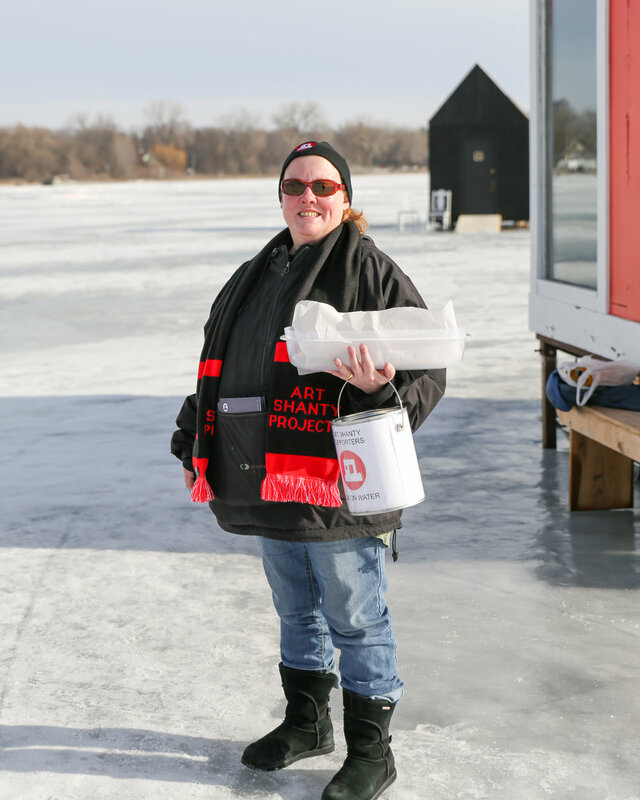 • There are no bathrooms on the ice, but several back on shore. • There will be a food truck or you are welcome to bring your own snacks, food, beverages. • White Bear Lake is a super cute town with a lot of restaurants and shops. 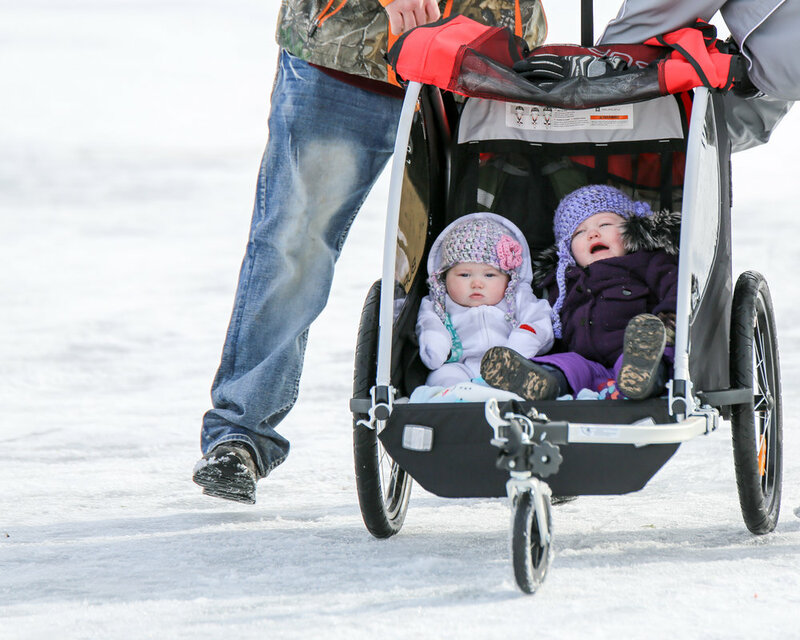 • If you have kids, a rugged jog stroller could work, but a sled would be great too! • Dress like you are going sledding: ski gloves, snow boots, hats, etc. 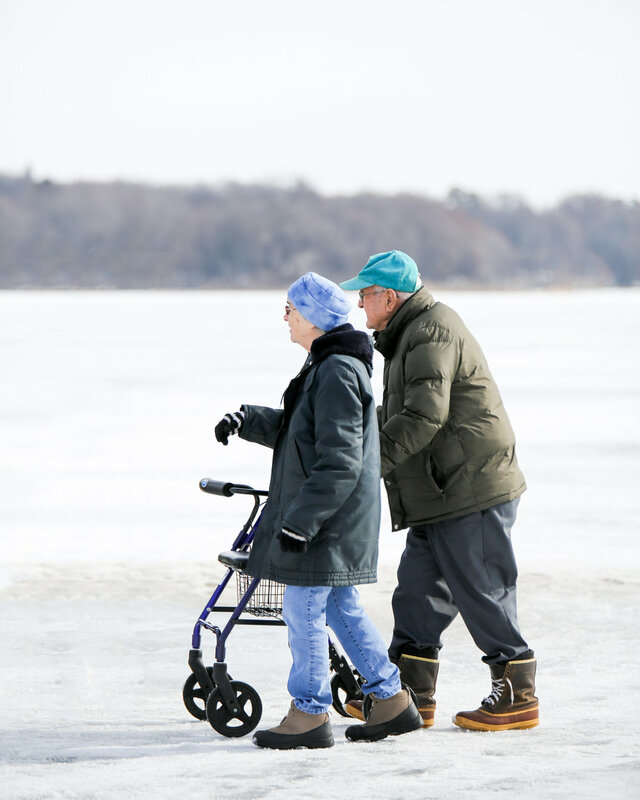 There can be a little more wind on the ice than on shore. • Non-service dogs are discouraged. • Each shanty has artists inside and a different theme. They invite you into their shanty to interact. There's even a dance shanty! We started our third day in Sioux Falls with a sweet (literally, with chocolate chip pancakes and banana caramel pancakes) breakfast at the All Day Cafe. Afterwards we headed next door to the outdoor apparel & goods store, Scheels. Why would the folks at Visit Sioux Falls suggest we visit a sporting goods store? The moment we walked in, we understood. It was not your typical store. It was a destination! Who would've thought!?! It is certainly one of those hidden gems you'd never know to visit unless a local told you. The boys got sucked in to the store and did not want to leave. It had bowling lanes, a putting green, a play shooting gallery and a ferris wheel! We then headed over to the warm oasis of the Butterfly House and Marine Cove where we got to touch stingrays and go "inside" an aquarium. Then we went into the butterfly house. It was so fun to see my very active boys standing still in hopes that a butterfly may land on them. Located right across the street was the Outdoor Campus. A nature center that taught us a lot about the local flora and fauna. 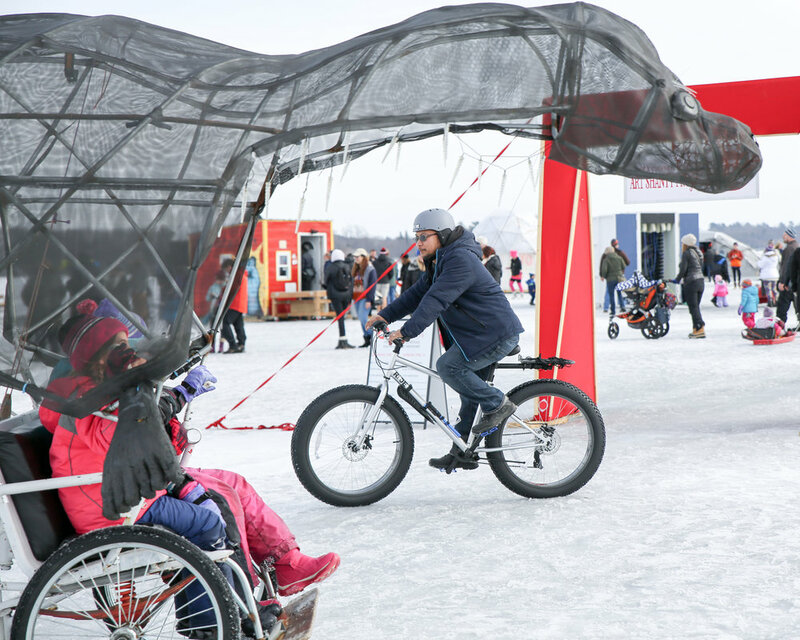 They had all sorts of activities available like ice fishing, snow shoeing, cross country skiing and more! The boys loved meeting the pet rabbit. After a delicious pizza lunch at Red Rossa and cupcakes at Oh My Cupcakes! we headed home to rest and get ready for our evening adventure. That night our minds were totally blown away at the Cirque Du Soliel Ovo show which took place in the Denny Sanford PREMIER Center and was conveniently attached to our hotel. This was certainly a highlight for me. My husband and I were at the edge of our seats watching the graceful acrobats perform. So much color and light and activity! We gasped out loud several times. The boys loved it too. Dear Arlo especially loved watching their magical shadows dance on the wall. Cy took advantage of his distracted parents and polished off a bag of cotton candy that was larger than his head. That night when we returned to our hotel, Cy asked what day it was. His eyes teared up a bit when he learned that the next day would be our last full day. A true sign of a great vacation! We awoke the next morning to a beautiful bluebird ski day. We headed over to the Great Bear Recreation Center. We were going to ski! Our family loves to ski and this would be the first outing of the season for us. What a lovely lodge! We were all so surprised at the proximity of the ski hill to the hotel. It only took a few minutes to get there. We had a great day on the slopes! After that we headed back to the hotel to get ready for our last evening in Sioux Falls. We started the evening with an incredible dinner at Grille 26. I had a Honey Chicken Penne Pasta dish that had me searching the web for the recipe afterwards. The boys all loved their meals as well. They even enjoyed an alligator appetizer! For our final night we met up again with Jessie (the local mom) and her boys for an NBA D-League game, the Skyforce. My husband and I decided that going to a D-League game is the ideal sporting event for a family with young kids. The boys were enthralled and watched every point, every play. We had great seats. It is an intimate arena so there is not a bad seat in the house. The concessions were reasonably priced and there were no lines for food or the bathrooms. Best of all, a few of the players came out and signed autographs after the game. My kids both wanted to sleep with their autographed posters that night. Such a treat! We stopped by the beautiful Cathedral of St Joseph on our way out of town the next morning. It was a beautiful send off. We will definitely be back Sioux Falls! We will come for the the long list of activities that are exciting, reasonably priced, well-maintained and easy to access. We will come for the art, the waterfall, the milkshakes, the Skyforce, the hotel pool, the people, the great shops and restaurants. But most importantly we will come for the memories. They are priceless. When my husband and I found out that our kids were going to have an additional week of school off after New Years, we were like, "Now what?!" We knew the prior week would be filled with family, holidays and celebrations... How could you top that? As luck would have it, we were contacted by Travel Mindset and Visit Sioux Falls, inviting us to spend 5 days in Sioux Falls this winter! We were able to schedule it for the week the boys had off of school! Why would you go to Sioux Falls, South Dakota in January?! There are SO many reasons! We were truly surprised! I can't wait to show you! We saw a "sun-dog"on our way to Sioux Falls! The first day of our trip began in the late afternoon, after my husband got done with work. Since the drive was only 3 1/2 hours, we had no problem making the trip on the same day as a work day! We even arrived with time to spare! So we headed straight to the Midco Aquatic Center to meet up with a "host family." Visit Sioux Falls had not only planned our event-filled trip, they had also connected us with a local family. Conveniently, the host family had 4 boys! A great pair up. The new facility gleaned and provided us with a tropical & steamy oasis on a sub-zero day. The boys got to really shake-out their legs and explore. Water slides, basketball hoops, floating pads, fountains, and more! Afterwards we checked into the Sheraton Sioux Falls. We were delighted to see that the Manager had left a hand written note and some treats. The boys loved the glass elevators! They went to sleep waterlogged, full-bellied and content. One of the aspects I love most about traveling is the anticipation! When Visit Sioux Falls emailed us the proposed itinerary, the boys and I huddled around my laptop and Googled each spot. They began to jump up and down with excitement. (It reminded me of a scene from the Price-Is-Right.) I got a little Price-Is-Right-ish myself when I saw a photo of the beautiful theater located in the Washington Pavilion. It looked amazing!! A photo idea started to grow.. Anyhow, back to Day Two. After a nice breakfast at our hotel, we were off and running! We headed over to the Washington Pavilion where we stayed all morning. There was so much to do there, we barely covered half of it! The Washington Pavilion houses a Visual Arts Center, Kirby Science Discovery Center, a cafe, a store, Wells Fargo CineDome Theater and Husby Performing Arts Center, all under one roof! I pitched my photo idea and they said yes! Since we were visiting the Kirby Science Discover Center that day (and because Cy already owned an astronaut costume) I decided to do a space themed shot - in the middle of an empty theater! It was so magical! As I took a quick picture, Arlo and Patrick my husband ran around on the stage having a blast! After that we headed over to the Kirby Science Discovery Center where we stayed for hours. There are three different levels there, each with a unique theme. That afternoon we all took a rest. Then the boys swam in the hotel pool. Sheraton Sioux Falls pool. Yup. My kids love hotel pools! Then we headed downtown to check out a few local stores. Shopping? Yes! But first milkshakes for the boys & wine & beer for the adults @ the Phillips Avenue Diner in downtown Sioux Falls. Zandbroz was an adorable store that reminded me a bit of the beloved Twin Cities chain Patina. It had all sorts of unique homes goods, toys, and gift ideas. I know if I lived in Sioux Falls that would be my go-to gift shop stop! And next door was a toy store! Child's Play Toys. The boys went bananas there. What a great store! They were totally welcoming & encouraged the boys to play with anything they saw. And of course we did not leave empty handed! Cy chose a magical ball and Arlo chose a stuffed bear that tagged along with us the rest of the trip! That evening we caught the magical Winter Wonderland display and got a chance to see the falls at Falls Park. So neat to see a beautiful rugged waterfall right in the middle of the city! Finally we dined downtown at Crawfords. It was a cozy warm little spot with amazing decor. If you ever question whether Sioux Falls is hip, visit this spot! You will leave convinced that the town is vibrant, artistic, and filled with a diverse and very friendly population. Which reminds me... Earlier that day Michelle at the Kirby Science Center had mentioned how people in Sioux Falls are incredibly kind. She said that residents never honk at each other! Sure enough, when Patrick dropped off Cy, Arlo and I out in front of Crawford's Bar and Grill - we took a long time to get unstrapped and out of the car. It was only after we were out did I realize that we were holding up a line of cars on their busy main thoroughfare, South Phillips Ave. Oy. I was slightly mortified. However, Michelle's words totally rang true. No one honked! They even gave me a friendly, understanding wave as I shuffled the boys into the restaurant and Patrick went off to park. i tried to be sneaky and take a quick iPhone photo of the walls at Crawford's. They're jeweled and sparkly and amazing! All photos in this blog were taken with the Honor 8 by Huawei phone. I took this photo of a girl taking a selfie (so "meta" right?) using the phone's Low Light feature. Hi, I had a wonderful time working with Huawei and Mashable! They flew me down to Miami for two action-packed days. I caught a photo of our driver using Burst Mode at the Wynwood Walls area. He was awesome. We drove all around Miami in a fancy golf-cart-like car with Swoop! I met a Mashable editor there and we went on a photo scavenger hunt to test out a new phone called the Honor 8, made by Huawei. I also forced the editor (she was really sweet and quite up to it) to be my model several times! Using something other than my usual iPhone was a really unique experience for me. I have never used any phone but an iPhone! We don't see walls like this in Minnesota! Loved eating at the Big Pink restaurant. Delicious! However, as you can see in my images - the phone worked great! It had some really fun features I had never tried before like a Portrait Mode, Night Mode and even a Food Mode! a lifeguard & her boat using the low light feature on South Beach, Miami. I had so much fun using it I considered not giving it back at the end... (Do you think I could still teach at the iPhone Photography School with a Huawei? lol. Probably! Anyways I loved the city, the colors, the architecture and the magical phone! I need 10 more days in Miami to take in all of the amazing architecture! Last year at this time I was on a road trip with my two boys from Duluth, MN to my parents' cabin in northern Wisconsin and we drove right through Ironwood, Michigan: The home of the Stormy Kromer. As we rode through Ironwood, we passed by a statue of a giant hat. "Hey look! It's Grandma's hat!," said Arlo. Indeed, the statue was a replica of the red Stormy Kromer hat Grandma Lynn wears. So we pulled in on a whim & bought a round of new Stormy Kromer hats for the three of us. Everyone in my family is a big Stormy fan. Last year I wrote a blog about that road trip and Stormy Kromers. Read it here if you like. A few days after the boys and I stopped & bought hats in Ironwood, I reached out to the company and eventually I became a Stormy Kromer Ambassador! I also had dreams of someday shooting their catalog! So.... fast forward to exactly one year later - to the day!!! I found myself back up in Ironwood, Michigan. This time I left the boys at home with my husband.. because I was there as the hired photographer!! With models, assistants, stylists, mood boards, props, never-been-seen-before clothing and more! I was there to shoot their Spring/Summer 2017 catalog! Some of the locations we used for the shoot - Sandstone Falls. This was my second time shooting for them - I also shot their Fall/Winter 2016 catalog which is being launched very soon! I can't wait to share some of my favorite photos from that shoot. I can't share the official photos from this recent shoot until next spring - but I have snuck a few "peeks" into this post! It was wonderful! There is so much beauty in the UP. We shot along the shores of Lake Superior, near waterfalls and in the quaint town. A sneak-peek photo of the back of my camera used for "Instagram Stories"
It is such an honor to have a relationship with this brand! They are family owned. 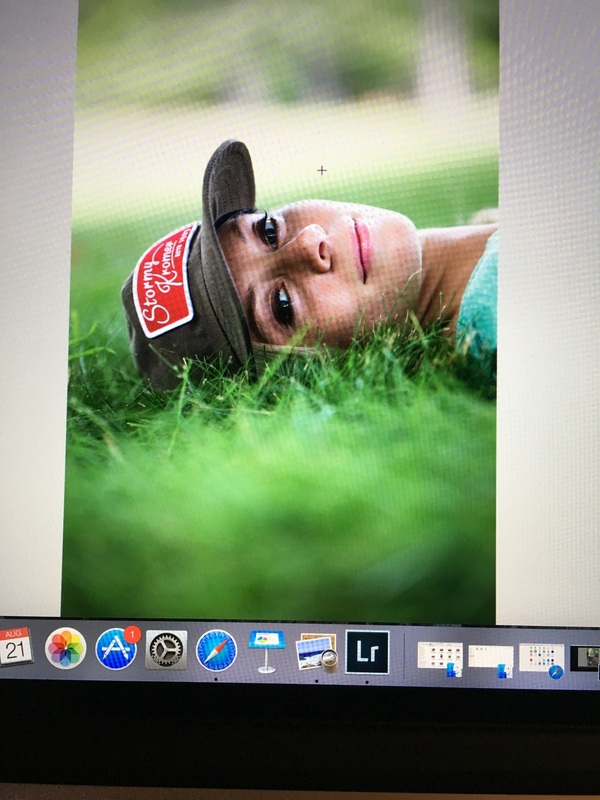 In fact, I worked side by side with Gina - the President of Stormy Kromer - during my shoots. I also had the chance to meet her family and some great staff. Working with them really makes you feel like you are a part of a family. There is so much love behind their Made-In-The-USA products. I toured the factory after our 2-day shoot. Their factory is filled with hard working locals who do much of the work by hand. It is truly a labor of love. 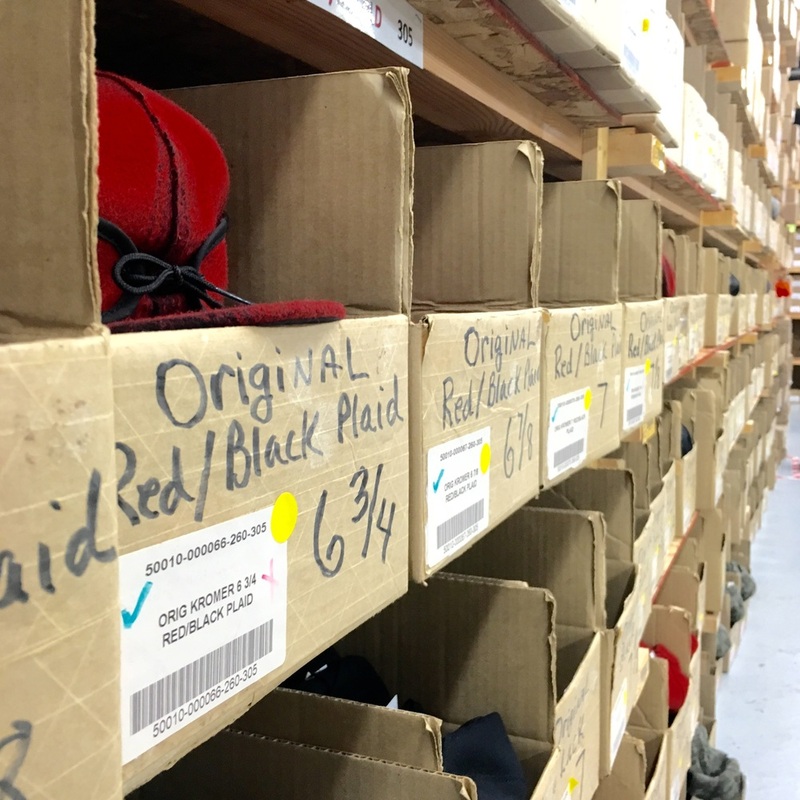 There are loving hands working on every single hat! Amazing! Thank you Gina & Andrea for your time & assistance & trust in me! I had a great time getting to know you Ashley, KJ, Jen, Dominic, Jimme-Lyn, Austin & Libby!! You all were wonderful to work with! Leinenkugels reached out three different people in a three different cities (San Diego, Denver and myself here in Minneapolis) and asked us to make a video showing how we would spend a perfect day off in our city. It is part of their campaign promoting people to take a "Leinie Friday." I asked my friend Pranam - videographer extrodinaire - to collaborate with me. We had the most amazing day! I got a babysitter and took a full "me" day! I met my husband for a picnic and mini golf, toured the Minihaha Falls and Stone Arch Bridge with Pranam, went paddleboarding with friends and took in a Twin's baseball game! Thank you SO much Leinenkugel's for asking me to represent Minneapolis!! It was an honor! I am so excited to tell you about a new project I am working on this summer. I have agreed to partner with the brand C4 Waterman. That means they've hired me to do some photography and to share their story.. They're based out of Hawaii but their parent company, Wenonah Canoes, is from right here in Minnesota. Wenonah Canoes has always been a beloved brand to my family - our mode of transport to the remote Boundary Waters - so I truly jumped at the chance to work with them! It felt a little serendipitous because one of their 4 brand ethos is BALANCE and that also has become my focus for the summer. My boys are home from school and I am trying to be very careful not to take on too many projects or jobs that keep me busy during their small window of freedom from school. That said, I can't think of a more fitting way to "balance" a little bit of work with summer fun! C4 Waterman gave me one of their Stand-Up Paddleboards - a "SUP" (click here to see which one.) They want me to go on adventures with my family, take photos and share them! Perfecto! Done! Last weekend my husband met us up at the cabin with the board. We all took to it right away! The kids didn't get off of it for nearly the entire day. It is amazing to see how they just naturally picked it up. So my husband and I had to wait until the boys were in bed to take it on a few peaceful paddles in the evening. The key factor that makes this board different than all the rest is that it is INFLATABLE! (True story: One time my dad and husband tried to put a full-sized SUP in my van & it broke my rear view mirror off completely!😆) So having a board we can use and then shrink down is crucial to us! You can visit their site (click here) to learn more about how their inflatable board works - but I can tell you from my experience last week - that it is clear that a lot of time and thought were put into the creation of this product. 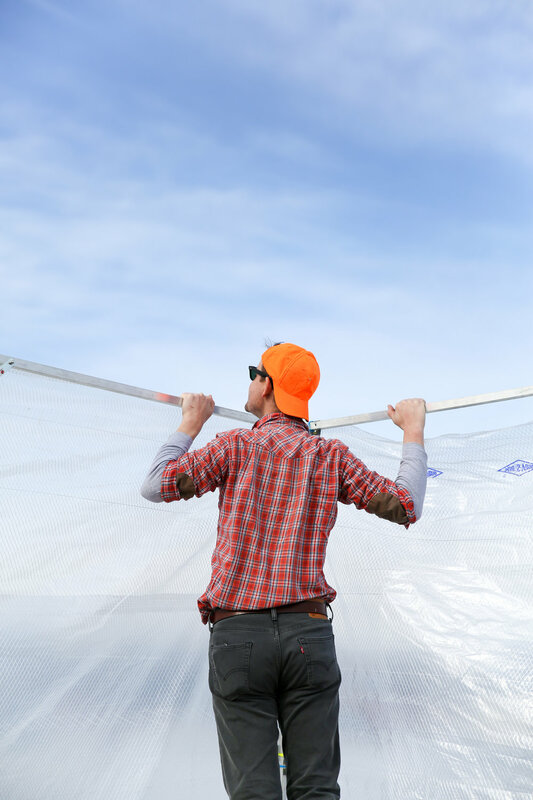 It is durable and so solid when it is inflated that the only way you can tell it has been inflated is by its weight! It is so light! It has a very well engineered valve and a shell that keeps it sturdy. Anyways - I am thrilled to share our escapades on our new SUP! I'm excited to bring it on the slew of adventures we have planned this summer! Ahhh I just love that feeling of the "START" of summer - where so much fun lies ahead! Thanks so much C4 Waterman for thinking of me and my family!!! 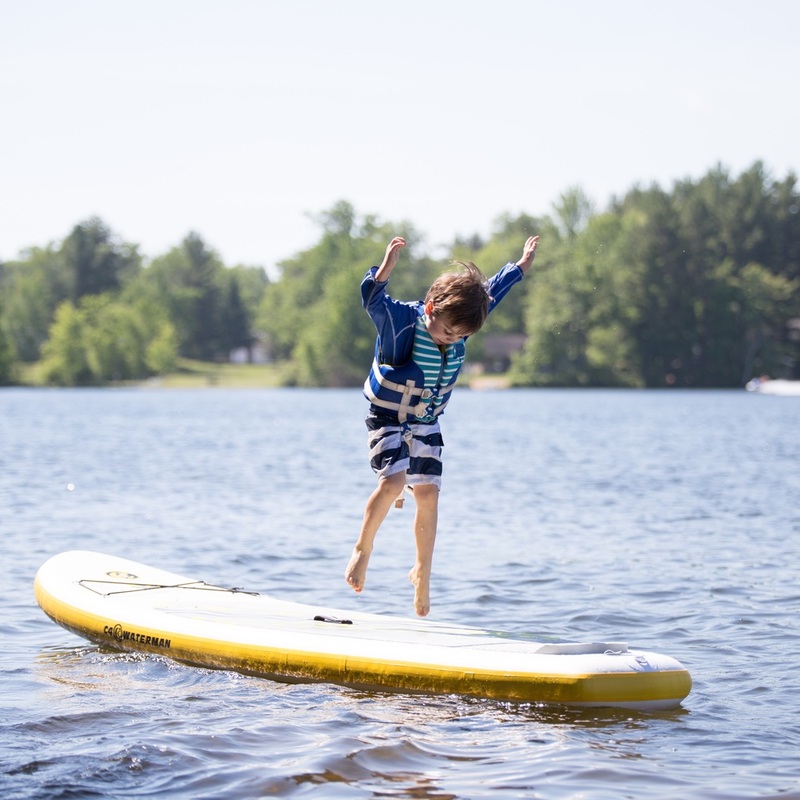 Here's to a balanced summer! Rita and I did some photography work while we were there. The lodge is going to use our photos for their promotions and web site. I remember a little over a year ago I was riding in a car in the woods with my friend Eric - on our way to take photos at the instafamous "Spot" in Ohio - when he told me about his friend Ricky. Eric couldn't help but smile a little mischievously as he spoke about his buddy. I could tell that they had become fast friends. And I remember Eric telling me that I "HAD" to meet Ricky. Soonafter, Ricky - who can be found on instagram as @neighborhoodfilm - and I became friends online. And many months later we had the opportunity to meet in person when he visited Minneapolis for work. He runs a film company based out of Philly and LA called Neighborhood Film Company. It is the real deal. They have done everything from major productions to small artsy films. He has worked with Hollywood.. In fact, he "is" Hollywood. He makes it rain when it is sunny and he makes it sunny when it rains. You want it? You got it. His clients include Nike and Coca Cola. However, none of this sounded nearly as fascinating as what Ricky does behind-the-scenes... and his "story." I had the opportunity to learn Ricky's story when he visited Mpls earlier this year. We went on a photo adventure - which involved a couple of hours in the car - and we had plenty of time to chat. When Ricky was in his early 20's he befriended a homeless man by bringing him a sandwich at a park while on break from filming. He began to build relationships with the homeless- and the people who care for them- including a nun who worked at a nearby shelter. And while he continued to work in film, he immersed himself in this drastically different world. He quit a huge hollywood gig and moved into a shelter. He lived in the shelter for almost a year. While he was there, he unbelievably grew his business. He told me that he had struggled with the paradoxes of the two realities he was living in, until the kind sister told him that his best way to help others was to help himself. So he put his head down and built his amazing company: Neighborhood Film Company. And they not only make films, they give formerly incarcerated men a chance to work and to learn life skills that will help them grow. So, yesterday Ricky was back in town. Filming a commercial. I had the opportunity to visit the location for the day and take some behind-the-scene shots of their work. I brought my intern Isabelle. We were blown away at the amount of man-power and work that goes into film-making! They worked a huge day. Thanks so much for having us out and for being an inspiration. I'm so happy that you had a great time in Minnesota! Come back soon! It feels like lately my little world is feeling very serendipitous. I meet one person, they lead me to another, it leads to a new project or inspiration. It is pretty much a dream come true. So many great artists, and energy and people wanting to do big things! Back in September, my friend Pat Kelly called me. It is easy for me to show you a photo of Pat and his family because I also happen to be their family photographer! He asked me if I would like to come to a super nice country club at 7am and stand up in front of a group of men who are business owners, entrepreneurs, leaders in the community and talk about myself. When I asked what I should talk about, he just said to tell them my story. I thought it sounded like a fun new challenge so I agreed. So early one morning in October, I headed to the country club. While the men were slowly filing into the room that overlooked Lake Calhoun, I snuck out and took a few shots of the sunrise. Since I am usually toasting frozen waffles, packing lunches and listening to Curious George at that time, it was a treat to witness the rising sun over the lake my family loves. After I took a few shots, I went back in and gave my presentation. A total of 3 slides: Past. Present. Future. I told them a bit about my past. A Wisconsin girl who attended UW Madison and then spent half a decade working for the statewide newspaper, the Milwaukee Journal Sentinel. Then I told them my more recent story: a mini-van driving iPhone-photographer mom who had morphed into a published, Canon 6D-wielding "commercial, fine art and family" photog,-slash-social-media marketer within a quick two years. I also told them about my beloved community group, Minnstameets that I co-founded. And then I played a slideshow of my photos during the Q&A. A few days later I got a call from Mr. Brad Johnson asking me to come into his office. He is a Partner + Investment Advisor at Tradition Wealth Management in Edina, MN. I was a little nervous he was going to ask to manage my wealth (which would have been really embarrassing since I don't have anything on a level that needs "management" *yet*) but instead he said something to the extent of the following: "We (referring to himself and the leaders of two other Tradition Branches - Scott Beuning at Tradition Capitol Bank and Erik Hendrikson at Tradition Mortgage) have been in this business for over twenty years. We have a portfolio filled with great clients. We have made good money. Now it is time to give back. When I saw your presentation and I heard about everything you are doing on social media and for the community, I thought 'That's what we need to do! We need to do something new! Fresh. Exciting. Something our families can get excited about. Something that gives back.'" So I left his office excited to have met a group of guys with that much enthusiasm, but also wondering what the heck I could do for them. The Art of Edina is one aspect of Tradition's Pass It On. 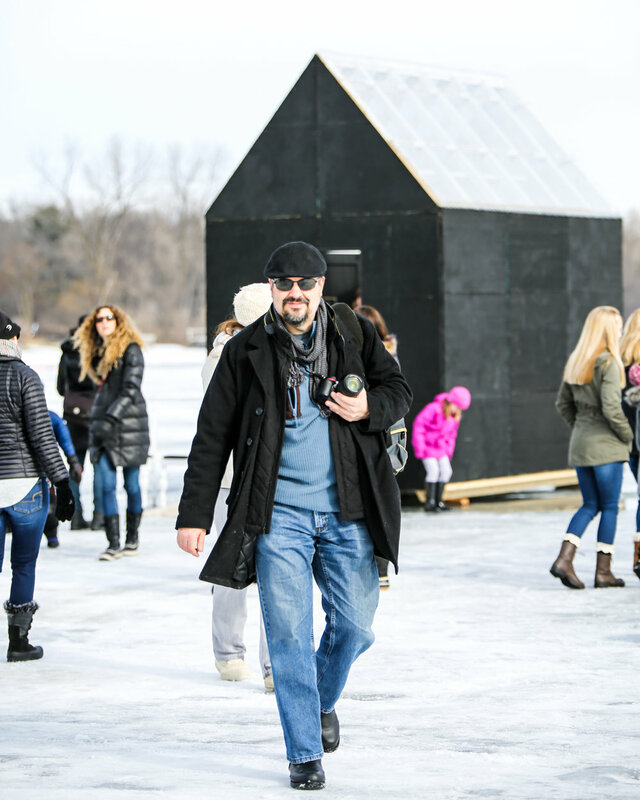 Together we created the Art of Edina as a way to give rising and established Edina artists a public space to display their art. The only rule to Art of Edina is that we have no rules! We promote art. From finger painters to professionals. And we promote community. Especially those in our community - Edina. It has been an exciting ride! So far we have gallery agreements with Southdale Center, Galleria and Braemar Ice Arena. We also have several partnerships in the works with great companies like Live & Love MN, Great Lakes Clothing Co and Woodchuck USA. Front page of the Sun Current! And, we have great media coverage! 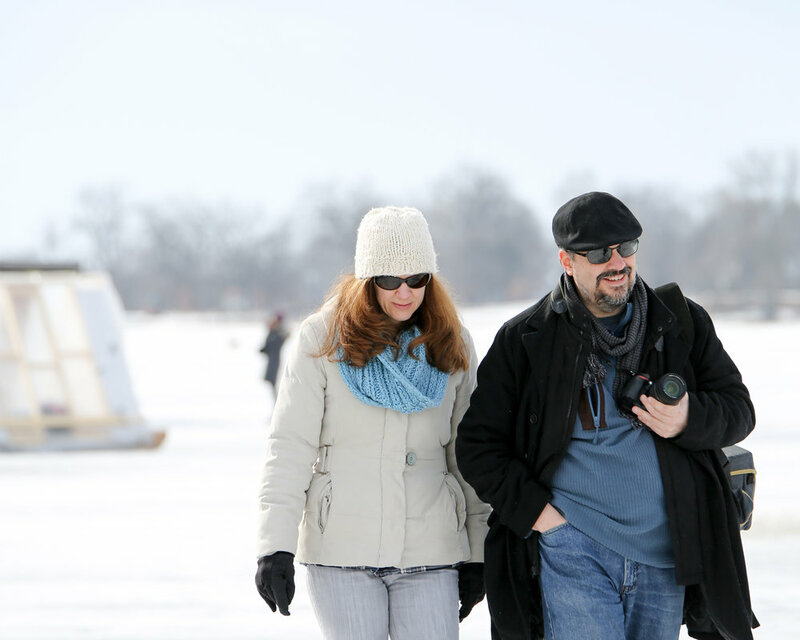 We have already been featured by Southwest Journal and the City of Edina. We have an article coming out in Edina Magazine soon, some future projects with Artful Living and more! In February we installed our first gallery. It is located at Southdale Center (see photo above) and highlights the works of the children from Concord Elementary. That art will stay on the walls for three months. Next, we installed a gallery at Braemar Ice Arena lobby. It features photos from anyone in the community. We found the art for the gallery by scouring the hashtag #ArtofEdina on Instagram and also through direct emails we received. The artwork displayed at Braemar Ice Arena represents the Edina Parks and activities at parks. Our next gallery is at the Galleria! For three months it will feature my art and collaborative work with fellow artist friends such as Erin Sayer, Chank Diesel, Shane Garron, Brandon Werth, Jennifer Davis and Drew Beson. We plan to have a large launch party that is open to the public. It will take place on the evening of Thursday, May 19th at the Galleria! We are currently busy getting the art ready for the show! I could not be happier to be a part of this initiative and to watch it grow! I have been working closely with some wonderful, hardworking women - Laura Johnson and Beth Webert - to get everything ready for each show! On Saturday we left Custer and started to head east towards home. We stopped about halfway in the Chamberlain/Oacoma area of SD. I have heard of Chamberlain/Oacoma many times from my dad - an avid fisherman. Apparently if you like to catch walleye or fish of any kind - Chamberlain is a sportsman's paradise. It is also known for its premiere hunting. As soon as we pulled into the Cedar Shore Resort - we saw evidence of this. The parking lot was lined with Lunds. And the resort has its own marina with a bait shop, fuel and sundries right on the property. For a family with two little boys - this was the perfect stop! The first night we enjoyed dinner at the resort's restaurant. I had the walleye (of course!) and it was mouth-watering. As we ate, we watched an idyllic scene out on the lawn - several kids and a golden retriever laughing and jumping in the warm sunlight. Afterwards, the boys took a quick swim and we headed back to our "cabin" (it was more like a beautiful house!) across the street. We had views of the stars and the Missouri River. The next morning we met up with our guide Raymond. He is the marina manager at Cedar Shores and he stole a little piece of my heart that day. He was just so darn patient and kind with our boys. I wasn't surprised when he said that he and his wife have three girls who are all very successful. I loved hearing about his life in Chamberlain. We spent the day out on a pontoon chatting and fishing the river. We pulled in some white bass, jacks and walleye! Wetting the lines for one of the first times this season! 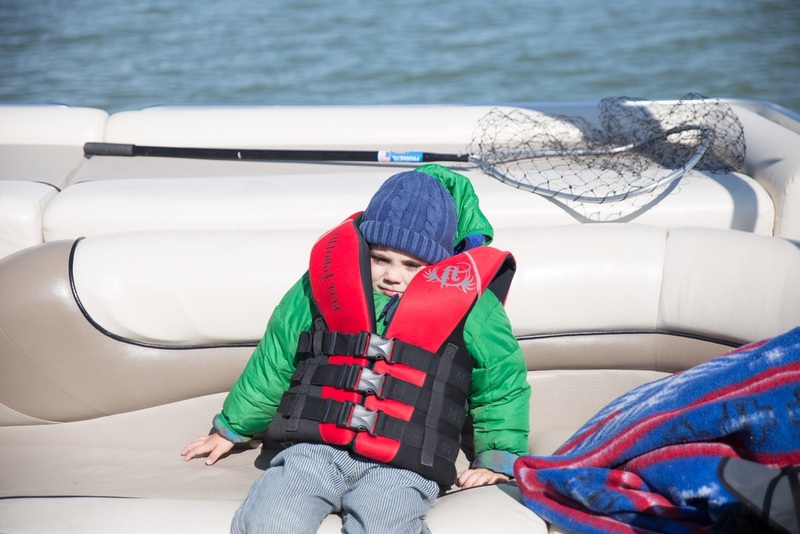 Before this trip, Cy had listed "fishing" as the number one activity he wanted to do. It was great to see that come to life at such a wonderful place. That's our boat! The shore is rugged and beautiful! 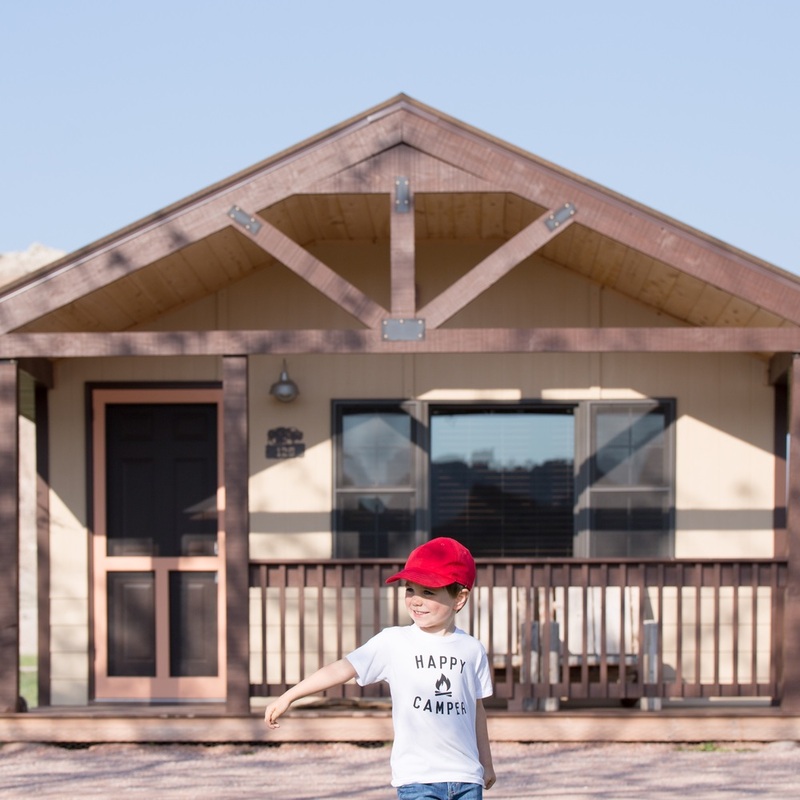 If you are ever making the trip out to the Badlands/Custer from the Twin Cities, consider Cedar Shore Resort the perfect halfway spot to spend a day or two. It is an easy stop too - about 3 miles off the highway. You could easily spend a week there! We toured a beautiful house boat! On Saturday the alarm went off at 4:30am! It was time to visit Black Hills Balloons! 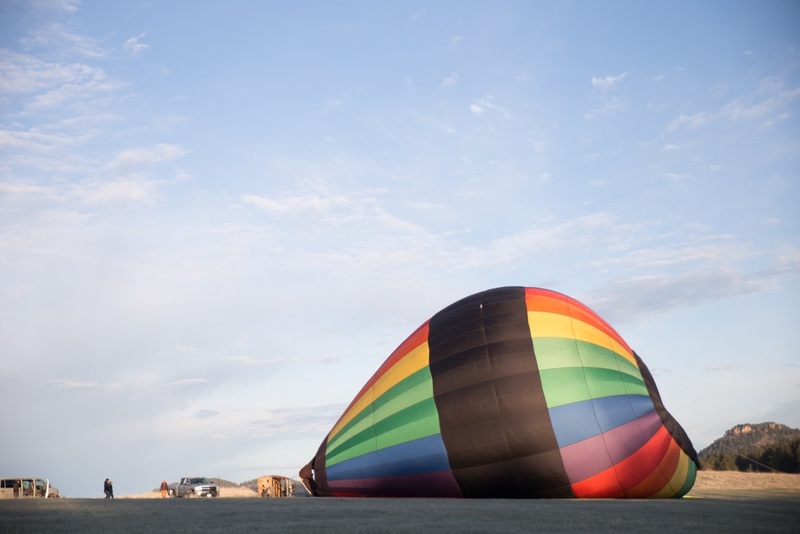 As they prepared the balloon, a gentle sunrise was starting to take shape. Inflating the balloon. A rainbow! What luck! Damien and Keely are the owners of Black Hills Balloons. They were warm and welcoming and cracked enough jokes to make everyone comfortable. They are also very skilled pilots and also work as instructors. In the summer they fly almost every morning - weather permitting. It doesn't make you feel afraid of heights like a fair ride might - because it is so slow and gradual - you feel at ease. Good morning beautiful Black Hills! Add this one to your must-do list! It is amazing! And if you are like me - you will have so many pictures that you will be sharing them for years to come. 😆 A definite South Dakota #MyGreatPlace experience! Our host Damien called this a "Ballunar Eclipse"
Back on the ground! We found it fascinating that they can't totally control where the balloons end up (the wind does that!) So they land in empty fields - sometimes on private property. Damien said that the majority of Black Hills residents are very welcoming! And sure enough - we landed in a very kind gentleman's yard. He came out and chatted with us (can you imagine looking out your window at 7am and seeing this huge balloon landing in your yard?!) The boys rolled around in his yard with his dogs as they packed up the balloon. Thank you so much Black Hills Balloons for this absolutely amazing experience! I want to go again right now! Also, South Dakota Tourism is still giving away a dream trip. See http://ow.ly/4n46Eb to enter! Thank you South Dakota Tourism and Travel Mindset for your hospitality! Hello from the beautiful Custer State Park! Yesterday was our first full day here and it was the kind of day that we will never forget. This state park, which easily could be a national park, is one of the most awe-inspiring places to experience in the USA. 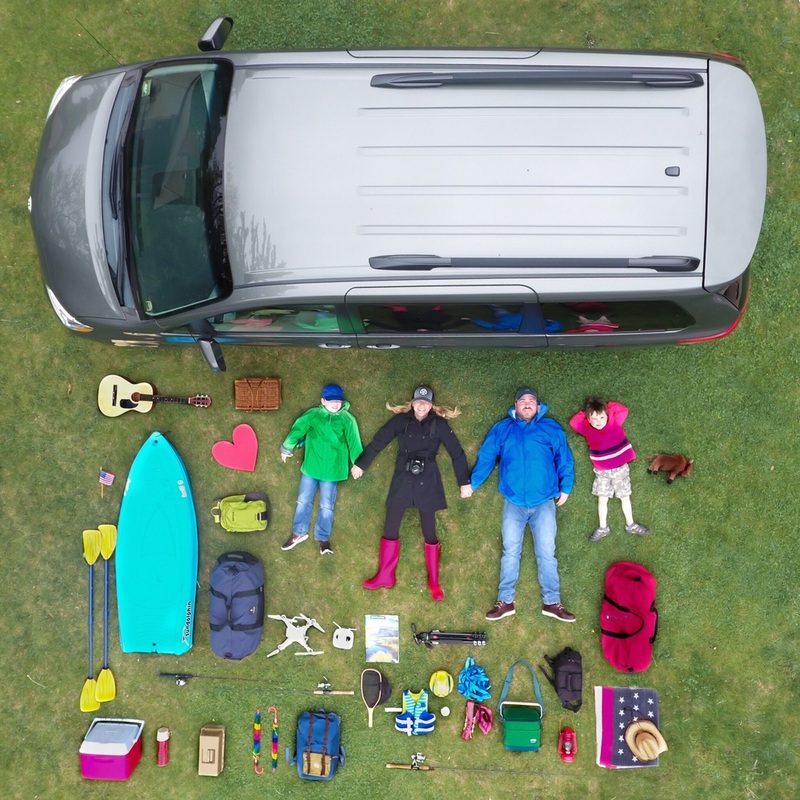 For us - it is the ultimate family road trip. A 7 hour drive brought us into a land so different from where we live. Custer State Park has an incredibly rugged, unspoiled landscape. The wildlife here will make your jaw drop. The locals are warm and generous with their time and knowledge. And there's so much to do! We stayed in a cozy state park resort cabin on Legion Lake. It has a wonderful sleeping porch where you could easily get lost in a book. It overlooks the lake. Cy's list of animals we have seen so far. Next we stopped by to say hi to the presidents. This was my third time seeing Mt Rushmore and it felt just as monumental and special as the first! The little town of Keystone is so cute and has some wonderful restaurants! We ate at the Ruby House Restaurant and it was incredibly charming. Cy tried Sassporilla for the first time! Then we headed back into Custer to meet up with the good folks at Blue Belle Stables. They are a real top-notch operation. They were wonderfully warm and accommodating. The trail ride was a highlight of our trip and a definite must-do! The scenery was incredible. You splash right through fresh streams and walk through a beautiful pine forest with mountains in the backdrop. We loved our guides - Alura and Addy. Arlo talked Addy's ear off for an hour straight! Afterwards he declared that he wants to be a cowboy when he grows up! After the ride we headed across the street to the Blue Belle Lodge where I had the most delicious encrusted Walleye! A fabulous restaurant right in the park. There was a wild buffalo grazing out back! And finally we rode the Wildlife Loop just as the sun was starting to set. You can't get much better than that! Another item to add to the must-do list. The Prairie Dogs will make you laugh! They're so silly and fun to watch! Thanks again for taking the time to read about our trip to this beautiful area. We feel so grateful to be South Dakota Tourism's guests! It is a true honor! So far we have driven out to a park called the Badlands. It is very rocky and Arlo thinks it looks like Mars. It is great fun for climbing! We saw deer and wild bighorn sheep there! Our cabin in the Badlands. Cedar Pass Lodge. We loved it - we could've stayed there for a week! Next we drove to a new park called Custer. On our drive, we stopped and had lunch at a place called Wall Drug. There's so much to see there! A rock shop, a toy shop, games, and even a chapel! Mama got some pretty blankets and the boys each chose a souvenir and a donut! There's a reason the donuts at Wall Drug are famous! Yum!!! In Custer State Park, we are staying in a cabin on a lake! You can see fish jumping! We even saw a hawk swoop down and grab a fish! Arlo says hi to everyone! See you in school on Monday! As you can imagine, he already has a big collection of stuff to bring in to show-and-tell: rocks, a pretend coonskin cap, a buffalo toy and more!